You gotta hand it to Google. The search giant is really pulling out all the stops when it comes to Google Glass. Google Glass is a wearable computer that you wear like regular eyeglasses. You can use voice commands to search, you can use the camera to take photos, and you can basically do everything you can do with a smartphone, only your hands are free! One of Google Glass’ features is the ability to scan QR code. Google Glass has made it easier for people to scan these two-dimensional bar codes by simply opening the QR code scanner and focusing the camera on the QR code. Then the content behind the QR code will be displayed on your Glass. Google Glass is revolutionary in every aspect of the word. So it would be a matter of time before it gets real-world applications. One of the most exciting developments involving QR codes and Google Glass is being trialled at Beth Israel Deaconess Medical Center. 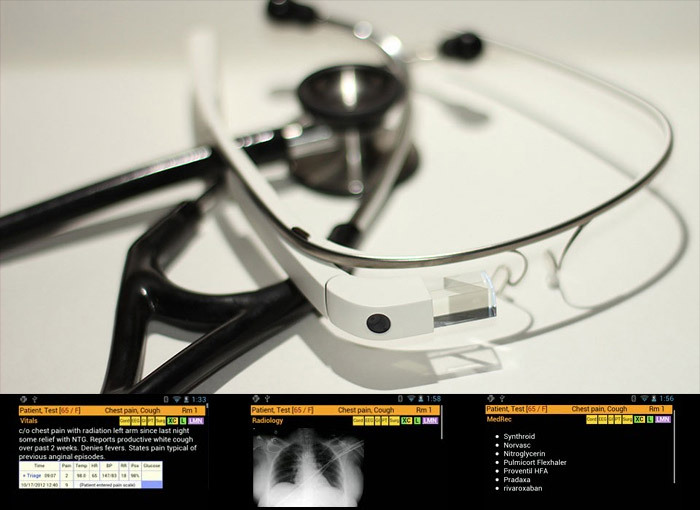 Emergency room doctors would wear Google Glass and then scan a QR code on a patient's chart. The scan would bring up every bit of information about the patient, including initial diagnoses, X-rays, laboratory results and other information. The doctor would be able to see all of these in the Glass, and still be able to interact with the patient. He or she could talk to the patient while reading radiology reports and other relevant medical data. Not only is this a good way to share information, it also ensures that the patient's confidentiality is protected. Nothing about the patient or his or her condition is written on paper so there is no way for other people to know what is going on. Only the doctor with the Google Glass would be able to access the information. Even if Google Glasses become commonplace, the hospital could still make the patients’ QR code secure by requiring a passcode before the information about the patient is unlocked. Beth Israel has made some changes to the Google Glass to ensure that patient data is not sent over to Google. Also, they made the information easily digestible, cutting it up so doctors could navigate through it easily. The new information system works because Google Glass allows for gestures and swipes to help navigate through pages of information. You can also move your head up and down, very much like when you are reading the paper in order to read the entire page. What's more, it keeps your hands free and it does not look odd so patients can converse with you. Your hands are not that free if you need to look at information from a smartphone or a tablet. In the emergency room, doctors need to have access to all the right information in order to treat patients. They also need to have free use of their hands during times when they are performing certain medical procedures or in case there is a need for them to respond quickly. Both needs can be addressed by Google Glass and QR codes. Doctors also need to be sure that they are giving a patient the right treatment. A quick look at the patient’s list of allergies and medical history would be able to tell you what types of medications are to be avoided. It would be great to see these Google Glasses used for communication, as well. This way, if a doctor needs to have some help, he or she could easily call for it.